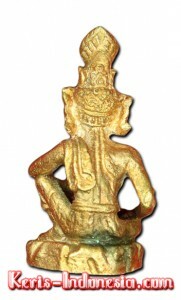 This amulet is made and consecrated by the Buddhist monk Luang Por Kalong of Wat Kaolam, Thailand. 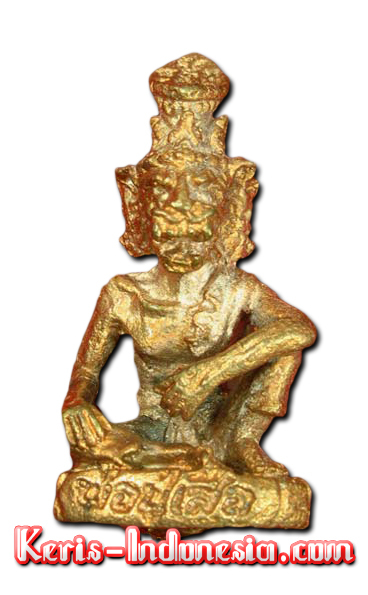 Before Luang Por Kalong would consecrate an item or give someone his blessings, he would first touch with his thumb a crystal fang in the roof cavity of his mouth; a supernatural feature similar to that of the monkey god Hanoman. 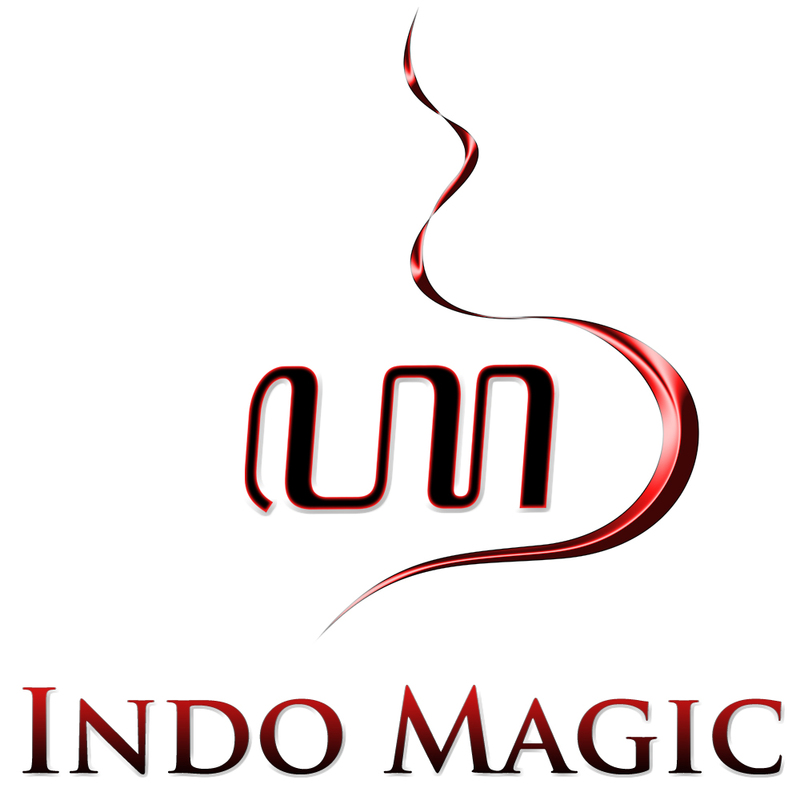 The amulet represents Luang Por Kalong’s personal teacher of magic; a most powerful rêsi master with a tiger head. 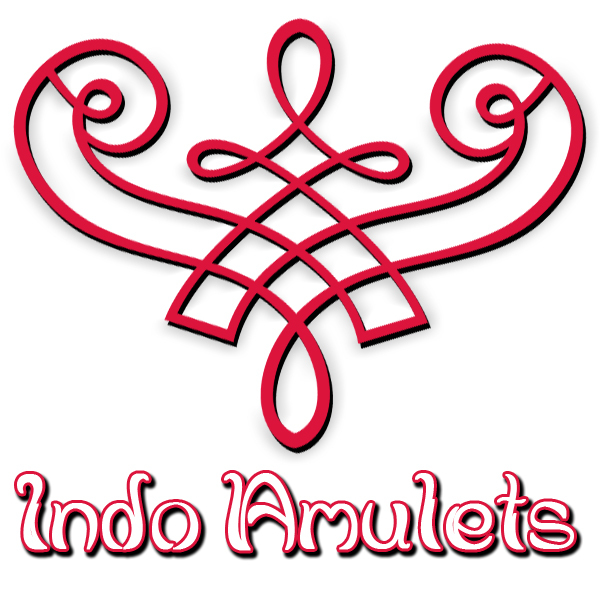 The amulet itself is made from a mixture of sacred metals (mainly brass). 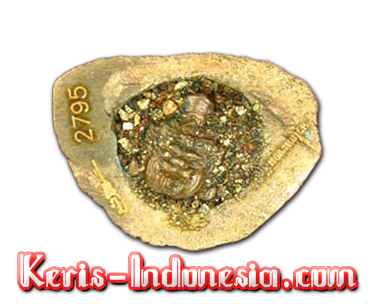 Besides a tiny piece of metal with a yantra engraved on it, there are also sacred minerals and stones inserted in the base. 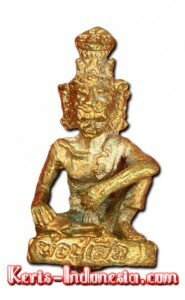 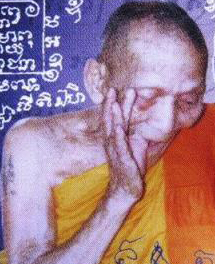 Since Luang Por Kalong passed away in 2009, this amulet will soon become a rare and exclusive collector’s item.